Process all ingredients in a food processor or alternatively blend with a stick blender in a large jug. Transfer into a bowl and leave in the fridge for a minimum of 1 hour. Using a teaspoon and your hands, form the bliss balls. 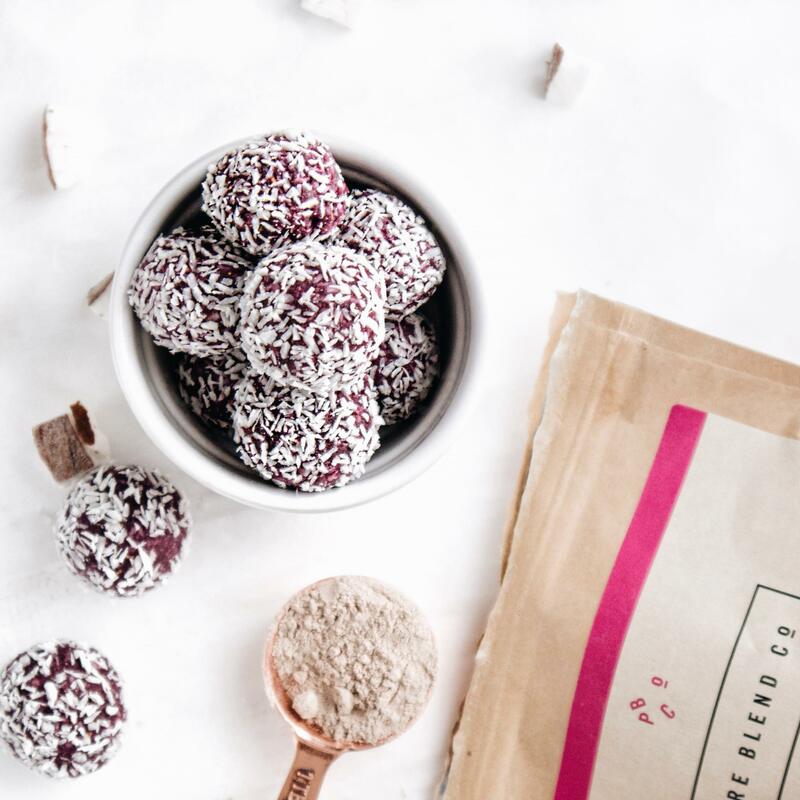 Roll the bliss balls in the desiccated coconut to decorate them – ready!